The World Press Freedom Index 2016 ranks Finland on top and Russia as No 148. For the fifth year in a row, Finland is ranked as the most journalist-friendly country in the world. In a description of the country, the Reporters without Borders praise national practices. However, the report does warn against a possible excessive concentration of media ownership. The World Press Freedom Index, the annual report from the Reporters Without Borders, was presented on Wednesday. It ranks all the Nordic countries among top 20. Norway falls one place to No 3, while Sweden drops three places to No 8. Iceland is No 19. «Protection for the media [in Sweden] is not that good because a third of the journalists polled by the National Council for Crime Prevention in 2015 said they had been threatened», the report reads. In the ranking, Russia climbs four places to No 148. However, the authors still have not much good to say about the country. «A witchhunt is being waged against independent media, which are increasingly branded as a “fifth column” seeking to destabilize the country», the report reads. 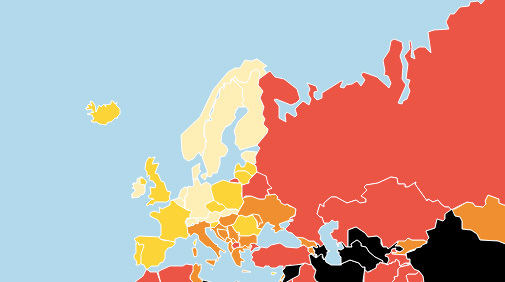 The Press Freedom Index comes just two days ahead of the Barents Press Annual meeting in Haparanda, Sweden. In that meeting, journalists from Sweden, Finland, Norway and Russia will assemble to discuss issues of regional press freedom, as well as and points of cooperation. The Barents Press International was established in 1995 and has since developed into one of the most successful cross-border journalism networks in all of Europe.